Injured While Shopping: Can I Sue? Home Blog Injured While Shopping: Can I Sue? 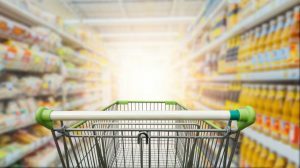 Because shopping is such a necessary and, for many people, fun recreational activity, you may never have focused on the potential dangers of being seriously injured while shopping. Think again. It’s estimated that that shopping carts, for example, injure roughly 24,000 children per year nationwide. And shopping carts are far from the only dangers. Big box stores like Target, Home Depot, and Costco are called big box stores because they are filled with large pieces of merchandise in, yes, large boxes. What happens if the boxes tumble from shelves or tip over as they’re on the ground? They can be responsible for broken bones, concussions, lacerations, even eye or other injuries. In fact, falling boxes are one of the leading causes of employee injury in retail stores. Slick floors can cause broken bones, concussions, and lacerations as well. What if you sustain a serious injury in a retail store? Can you bring a suit for compensation for your injuries? When Can You File a Lawsuit Against a Store for an Injury? The answer can be complicated. In general, proprietors and managers of stores have a duty of care to their customers. They are responsible for maintaining the premises in a safe condition. They are also responsible for training their employees to maintain safe conditions, and to act promptly if an unsafe condition occurs. You may be able to bring a lawsuit successfully if there was a clear danger that had not been fixed. Was a box placed carelessly on an upper shelf by an employee in such a manner that it fell right after it was placed there? Then it would likely appear to a court that the store was to blame. However, the law also specifies that the responsible party must have known or should have known that a condition was unsafe, and did nothing about it in a reasonable period of time. The definition of a reasonable period of time might be subject to dispute. What if a package of lightbulbs are dropped in the aisle and break, for example? Store management should clear it up promptly and place safety cones around it. But there will be a short interval of time after the breakage and before they can reasonably get there and secure the situation. If you are lacerated by bulbs during the period management is on their way, a jury might find you partly responsible for being careless in a clearly dangerous situation. If you are injured in a retail store, take pictures of your injuries and the area with your smartphone. If you do not have a camera, take detailed notes. A jury will need to know what happened and what the circumstances were. Speak with management about the situation before you leave the store. If you claim injury and did not contact store management about the situation, a jury might have questions. See a physician as soon as you can. Documenting your injuries is important if you file a suit. The Ellis Law Firm aggressively fights for the rights of people who are injured due to the negligence or carelessness of another party in southern California, whether it’s store management or an employee. The Los Angeles premises liability attorneys at Ellis Injury Law have more than 20 years of experience fighting for the rights of injured victims. If you or a loved one has been hurt as a result of injuries caused while shopping, please contact us today at 310-641-3335. The initial consultation is free, and we charge no fees unless we win money for you.